I know this is hard to read, but I almost did a spit-take when I first read it. 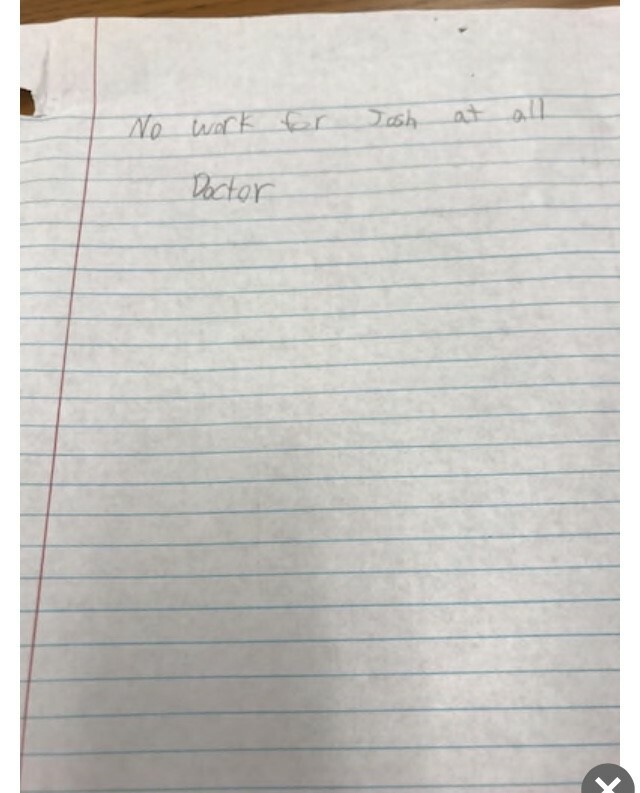 Apparently, someone thought this note could get them out of work. 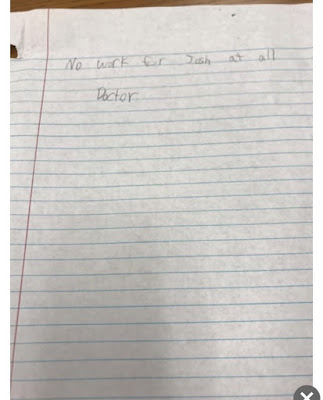 It reads: No work for Josh at all. Doctor." HA!! !